Players like Dimitar Berbatov don’t come around very often. Even at the age of 35 there shows no signs of slowing down. The Bulgarian machine has only one thing in mind and that is to score goals. Berbatov is one of the most interesting players to grace the sport; he was his own man and expressed himself in the game like no other. He brought back the star quality which was lacking on the English club side. The Bulgarian veteran is an Old Trafford icon; he scored a massive 56 goals during four seasons quite the achievement. Berbatov changed the notion that strikers are only expected to score goals and that’s it. Through his body language and persona Berbatov made one thing absolutely clear; that he is there on the field to score goals and nothing would get in his way. Dimitar Ivanov Berbatov was born in 1981 in Blagoevgrad, Bulgaria into a family of athletes. His father Ivan for a soccer player and his mother Margarita was a handball player. 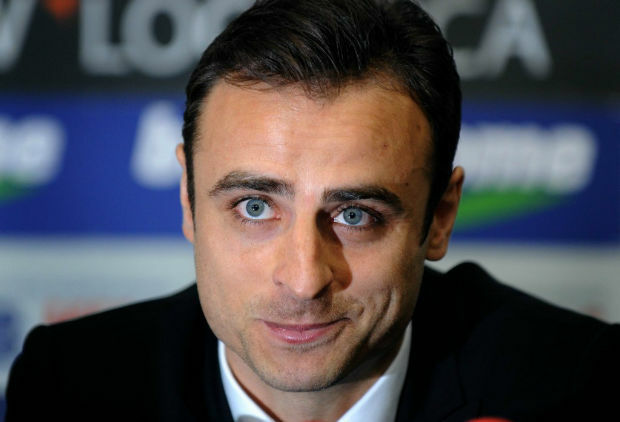 As a child Berbatov grew up fascinated with the soccer team Milan. Berbatov’s soccer career started at his home town’s club Pirin where he scored 77 goals in 90 appearances. By the age of 18 he was playing for CSKA Sofia, another national team for which he won the Bulgarian club. Berbatov then shifted to the German club Bayer Leverkusen where he played till 2004. The German club is where Berbatov’s talents were on full display and he was firmly put on the map as one of the most skillful soccer players in modern era. Soon Berbatov left for Tottenham Hostpur. He played for the Spurs for four years before making his legendary change to Manchester United where he firmly cemented his status as a world class player. During the four seasons Berbatov was with Manchester United he won two Premier League titles in 2008-2009, and in 2010-2011. He also won the Premier League Golden Boot during his tenure with Man U. After four glorious years he moved to Fulham. Following that he had brief spells with Monaco, and the Greek club PAOK. He made his debut for Bulgaria in 1999 when he was 18 and represented Bulgaria at the Euro 2004. He remains Bulgaria’s all time lead goal scorer to this date. His most famous goals is the ridiculous over the head kick against rivals Liverpool which is considered by many to be one of the most skillful goals of all times. His technique was quite smooth and he was not only enigmatic but technically brilliant as well. Dimitar Berbatov has won the Bulgarian Footballer of the Year award a record seven times. He was Bulgarian Man of the Year in 2009 and UEFA Cup’s Top Goal scorer in 2000. Other accolades include AS Monaco Player of the Year in 2014, Fulham Player of the Season in 2012-13, Tottenham Hotspur Player of the Year 2006, Ligue 1 Player of the Month, Premier League Player of the Month twice, PFA Premier League Team of the Year twice, and the Premier League Golden Boot Landmark Award in 2010.